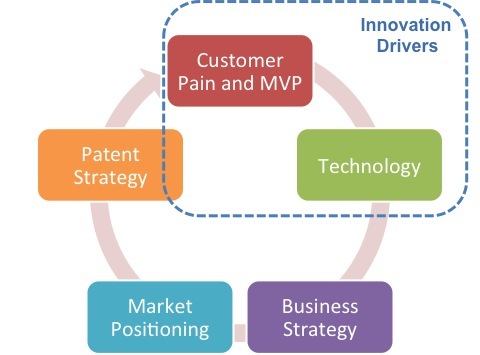 Innovation is the execution of an idea – from a concept to market ready product. This happens through the discovery and capturing of ideas, and then onto customer validation of the concepts. Without a strong focus on innovation processes, strategic patenting is reactive, not a proactive step in growing your business value. Using Design Thinking and Lean Startup based methodologies we can help clients see how their new or existing operations could look in the future, and what products need to be developed to get there. The output: a customer validated Minimum Viable Product that can be moved both into market, and into the stage of long term valuable patent protection.